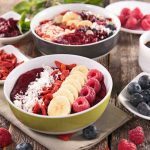 What’s with all of the acai bowl images we are seeing? The acai bowl was actually one of the biggest health trends of last year. Believe it or not, these acai bowls have actually been around for longer than we think in Brazil, where they have the weather and the ingredients at hand. So what makes the acai berry so special? Acai berries are loaded with antioxidants, enzymes, nutrients, amino acids, minerals, essential fatty acids and fiber. They have also been linked to faster weight loss. Where can you get acai berries? There are two best ways to consume acai, and that is in powder or frozen puree form. Click here to get your Acai powder. Click here to get the best Acai Puree on the market. And here is a brand new Acai bowl recipe for you. This smoothie bowl is naturally sweet as it contains stevia which also helps to keep the calories low. 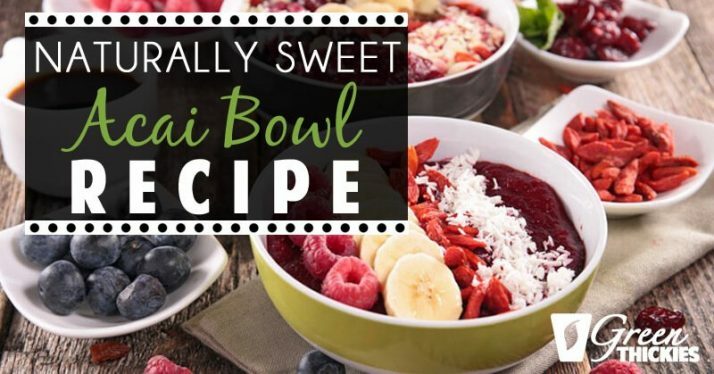 What’s with all of the acai bowl images we are seeing? Acai berries are loaded with antioxidants, enzymes, nutrients, amino acids, minerals, essential fatty acids and fiber. Get my naturally sweet acai bowl and see what all the fuss is about. For even more smoothie toppings, click here to see my brand new post, 100 of the best smoothie toppings!